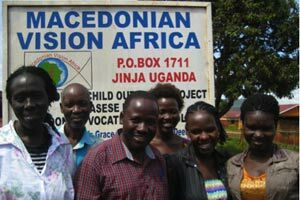 Macedonian Vision Africa | A Ugandan based Christian NGO (Non Governmental Organisation) working to transform people’s lives from poverty. Macedonian Vision Africa (MVA) is a Ugandan based Christian NGO (Non Governmental Organisation) working to transform people’s lives from poverty. 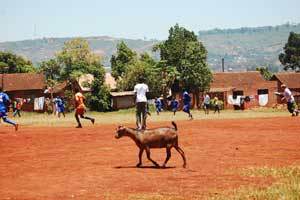 We work with the Masese community, a slum on the edge of Jinja town in eastern Uganda. With the generous help of our supporters we tackle the issues of poverty holistically, by supporting and educating the people of Masese, to transform their lives. Our approach encompasses many different areas: microfinance, vocational teaching, sexual and social health, funding for school and bible study. Our aim is to empower people to lift themselves out of poverty. By helping MVA, you are making a positive and sustainable difference to the lives of Ugandan people. Macedonian Vision Africa works within the Masese slum, in Jinja. (The team, led by Pastor Alfred Adundo) have a commitment and passion to help lift the community out of poverty. Equipping the community with skills to transform their lives from poverty is key to making a sustainable difference. 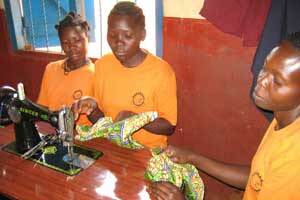 MVA community projects range from tailoring and hairdressing classes, to women’s health and microfinance.